ArticSoft believe that recipients should have the benefit of our full strength protection without having to pay for it. Just like the post you don't have to pay to receive information in a secure and protected way. Our Open PGP FREE Reader is a reduced functionality version of our Open PGP File Encryption software that can be downloaded and used for FREE. It enables anyone to decrypt pgp files and verify encrypted and digitally signed information (provided they have the correct decryption keys) without having to purchase any software. What limitations does the Open PGP Free Reader software have? People can only use FileAssurity Open PGP Free Reader to decrypt and verify information in Open PGP and PGP files. It supports decryption of files encrypted with any of our Open PGP products, and files encrypted with PGP software. Other main product features - e.g. 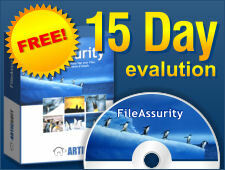 secure file deletion, Windows Explorer integration, etc. The Open PGP Free Reader is identical to our FileAssurity Open PGP Encryption software in all other aspects. Full keystore functionality is provided that includes the generation, import, and export of keys. An easy upgrade path is available to the full product. Why doesn't ArticSoft support self-extracting EXE files? Self-extracting EXE files contain the engine that is required to unprotect and verify the files as well as the files themselves. They therefore add a significant overhead (increase in file size) to the files you send.